Situated in the business district, this motel is 7.5 mi (12.1 km) from Pennisula Hot Springs and 10.4 mi (16.7 km) from Searoad Ferry Terminal. Looking to escape the cool chaos of Melbourne for some beachside action – or relax-action? The seaside haven of Rosebud is just an hour away! Sandwiched between Rye and Dromana at the southern end of the Mornington Peninsula, don’t be fooled into thinking it’s all about the sand and the ocean. There’s also wine, dining, golf, shopping and tonnes of adventures to be had – and it’s still in the heart of day spa country. Wot more could you possibly want? 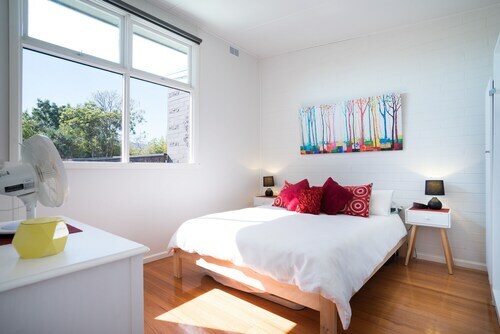 Check out our range of Rosebud accommodation now. The Mediterranean laidback vibe will quickly lull away the bustle of the city. Fronting onto Port Phillip, swimming here is safe off the shores of the never-ending stretch of coastline. For awesome views back towards the beach, including the bushy peak of Arthurs Seat looming in the distance behind, stroll down the 300-metre-long Rosebud Pier sticking out into the bay. Then kick back with a book or some fish’n’chips along the foreshore. Straddled by the sandy shores and Point Nepean Road, which continues all the way to Sorrento, the foreshore is full of parklands and community facilities. Along Point Nepean Road you’ll also find a long retail strip with more than just extra towels and sunblock. Major shopping centres here, as well as heaps of local cafes and trendy wine bars, make sure that all your creature comforts are catered to with quite the cosmopolitan buzz. If you’d rather buy your glass of wine at the source – or a whole bottle – set off for the nearby wineries of Dromana. If ‘golf’ was the first word that caught your eye, you’ll love Rosebud! Home to several golf courses, there are plenty more grassy greens to pitch within a short drive. 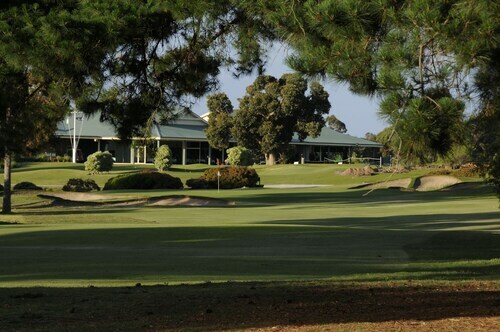 Rosebud is part of Mornington Peninsula’s ‘The Cups’ region, so you can trust these are top class courses, including Moonah Links, which hosts the Australian Open tournament. Some of the golf resorts also come with day spas, and there are plenty more day spas and spa retreats throughout the peninsula. This is the only region in Victoria where you’ll find naturally heated mineral water pools. Imagine melting into a rock-fringed pool overlooked by trees, with a galaxy of stars lighting up the night sky above you. Wot’s not to love about Rosebud? With glorious spas, world-class golf courses, wineries, a buzzing dining scene and the beach on its doorstep, Rosebud is the best kind of getaway. For action or relaxation, it’s got the goods! So stop dreaming about a city break and lock the dates in! Book one of our Rosebud hotels and start counting down the days. How Much is a Hotel Room in Rosebud? 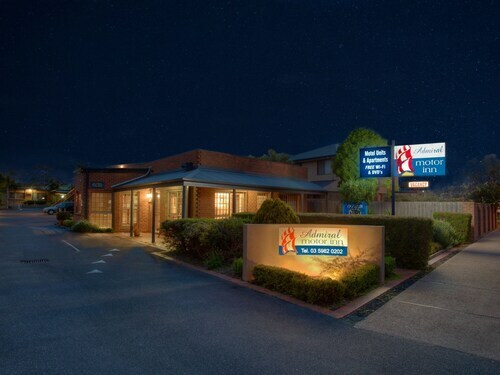 Hotels in Rosebud start at AU$114 per night. Prices and availability subject to change. Additional terms may apply. Everything was first class. A high quality establishment. Great spot. Two wonderful golf courses. Both that in fantastic condition.